There are different means of sending money to the Philippines. Bank to bank transactions, money transfer, or through private agencies offering this kind of service. These practices are common in the Philippines because millions of Filipinos are working abroad to support their families back home. The Filipino overseas workers are crucial to the economy of the Philippines that’s why they are considered heroes. Filipino enterpreneurs, nurses, entertainers and other Filipino contract workers are working in almost every country on the planet. They are known as OFWs (Overseas Filipino Workers) and Filipino Migrants. These Filipino workers bring in dollar reserves that help stabilize the Philippine's economy via their money remittances to their families in the Philippines. One of these channels is PESOePADALA.com. PESOePADALA believes in the magic the Filipino migrants and OFW can do to help their families and the Philippines as a whole. They give utmost value to their money transfers to the Philippines via PESOePADALA.com's low flat rates. Now, Filipino migrants and OFWs can send their hard-earned dollars at low flat rates. So, we advise them to sign-up now and take advantage of this offer to send money to Philippines. Another known agency trusted by some clients is Xoom. Xoom offers fast deposits to any bank account in The Philippines, and deposits in just a few hours to BDO Bank, BPI and Metrobank. Cash pickup is available at SM Malls, EPCI, Banco de Oro, Cebuana Lluillier and One Network Bank. Fast and safe door-to-door delivery to Metro Manila and all other provinces. There are a lot of ways to send money to the Philippines. Ranging from your local Filipino store, Balikbayan Cargo dealer, to the home-based agent. 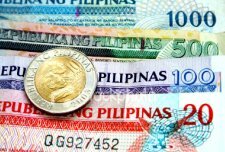 TheFilipino.com offers another method of sending money to the Philippines and this is here online. It’s an authorized affiliate of the well known companies in the money remittance business. Whether you want it fast or you don't mind the wait, TheFilipino.com's Remittance Service is available for you. It's reliable and you don't have to leave your home to send it. In addition to the above agencies, one of the most reliable remittance partners to send money to Philippines is M.lhuillier in partnership with Western Union. Its track record of being efficient and hassle-free makes them one of the most dependable. Simply go to any M. Lhuillier Remittance Partner in your area (such as Western Union).